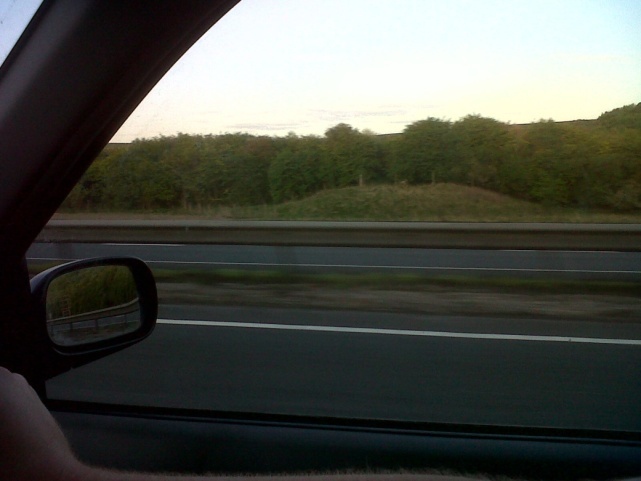 Just north of Winchester the A34 cuts through a group of Bronze Age burial mounds. The small grassy heaps sit on each side of the busy duel carriageway, so close to the traffic that the tussocky edge of one of these structures seems to be shaved by the road surface. This uncomfortable confluence of grass and tarmac introduces questions about daily negotiations between the ancient and the modern, and starts to reveal assumptions about what we feel does and does not belong in the countryside. So often the rural is represented as an unpopulated landscape that is visited rather than lived in, and that is somehow associated with a generic past. This paper attempts to re-think the rural as an active site of modernity. Using a wide range of textual and visual materials it explores a number of historical and contemporary perspectives on roads and driving brought together through the lens of speed and stillness. 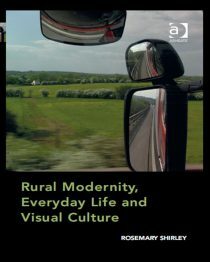 Firstly it attempts to re-think motorways as rural places, rather than urban enclaves (or non-places), recovering the experience of speed and technology as one which can belong to the realm of the rural. This sometimes uncomfortable relationship is further explored in the next section which centres on how driving in the countryside has been conceptualised in the renowned magazine County Life. The final section examines how the seemingly contradictory forces of the ancient and the modern, technology and nature, speed and stillness are interwoven through the pages of the 1930s Shell County Guides.